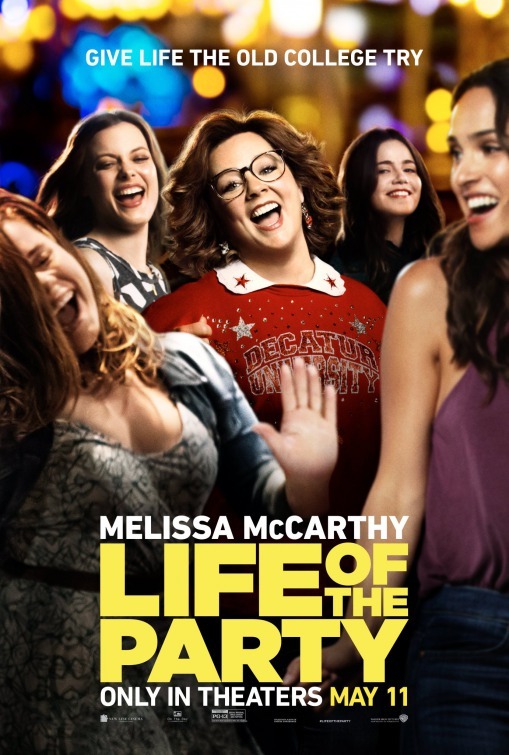 We're happy to offer our DC readers the chance to attend a free early screening of Life of the Party starring Melissa McCarthy. SYNOPSIS: When her husband suddenly dumps her, longtime dedicated housewife Deanna (Melissa McCarthy) turns regret into re-set by going back to college…landing in the same class and school as her daughter, who’s not entirely sold on the idea. Plunging headlong into the campus experience, the increasingly outspoken Deanna—now Dee Rock—embraces freedom, fun and frat boys on her own terms, finding her true self in a senior year no one ever expected. The screening takes place tomorrow, Tuesday May 8th, at AMC Mazza Gallerie at 7pm. If you'd like to attend, simply register at the Warner Bros. ticketing site here and download a pass good for you plus one guest. Please remember that all screenings are first come first served and you will need to arrive early to ensure receiving a seat. Enjoy the show! Life of the Party opens May 11th.